I have lived in Bulgaria now for a few years. I came here to help my family build Sakar Hills Camping and never really wanted to leave. Bulgaria has so much to offer as a country. Great weather, great social life, friendly people and enough work to keep me occupied. My quality of life has greatly improved since being here and I can heartily say that Bulgaria has alot going for it as a place to visit, as well as a place to live. With all I have been given here it is sometimes very easy to overlook the fact that Bulgaria still has a great deal of poverty in certain areas. Children seem to suffer the most in these situations and, alot of the time money that should get to them can be misdirected or lost in administration. This, unfortunately can be said the world over. It is not a new problem and it will not disappear over night. 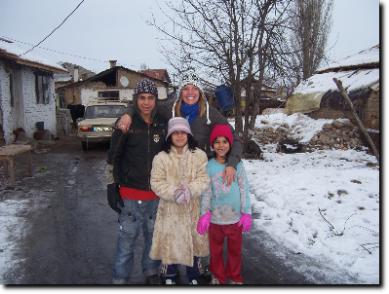 This is why I am glad to be a part of "The Bulgarian Woolly Project"
Please read on to understand what we can all do to make some lives a little easier. The children in these photos are not posed for some huge charity campaign. They are children that we meet regularly whilst distributing packages of clothes and toys sent or delivered to us by some very kind people in the U.K.
All we are asking is that if you are planning to travel across Europe and you have some space in your Motorhome or Caravan then please contact one of the organisers listed below. 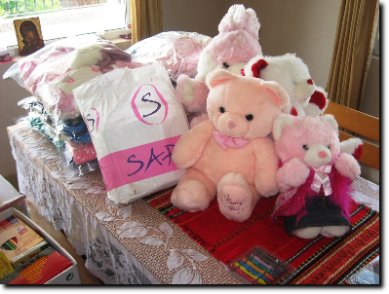 Barbara, Linda and Shirley have been sending parcels here to Bulgaria for the last few years. Unfortunately the postage costs are rising and, with no charitable support it is becoming increasingly difficult to use the postal system. There are many people here who work tirelessly with these children. 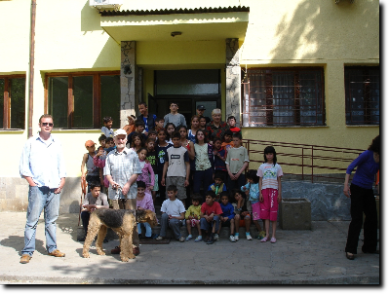 Alexa, Kelsey and Greg, to name a few are all here with the Peace Corps and would greatly appreciate the donations. For further information you can always look at Barry & Margaret Williamsons website listed below. They have given alot of time to this cause and have documented the progress with diligence and care.